The tradition of this revered spirit dates back 2,500 years to 500 B.C. Originated from the Master's family distillery, this baijiu was once served only to emperors and aristocrats. Confucius Wisdom combines the beauties of Rum, Whisky and Vodka: the main ingredient is sorghum which is a close cousin of sugar cane, the main ingredient used in Rum; a double fermentation process is used, similar to the process used to produce single malt scotch; the color is clear like Vodka, but with a lively fragrant aroma and lingering sweet tastes. 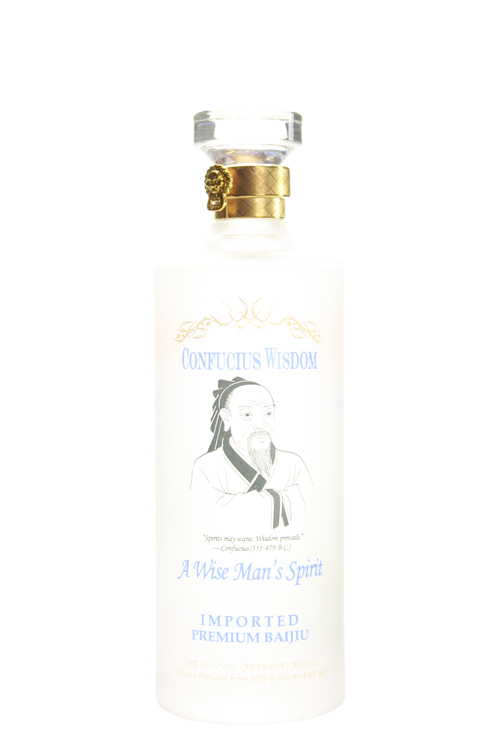 Like other liquors, Confucius Wisdom can be enjoyed straight, on the rocks, with food, after dinner, or as a cocktail. Whether a cordial, made from various fruits, or a liqueur, which is made from herbs, seeds, roots or nuts, we have the monks of 15th century Europe to thank for creating the recipes that are still used today and are an essential component to any cocktail connoisseur's cabinet.